I’ll be honest. I’m not really a house rental person. I love a good hotel breakfast, I cherish not making my own bed on vacation, I will even go to a hotel lobby bar in my own city just because I dig the vibe. So I was expecting to like Àni Villas, but to walk away thinking it wasn’t right for me. I was wrong. 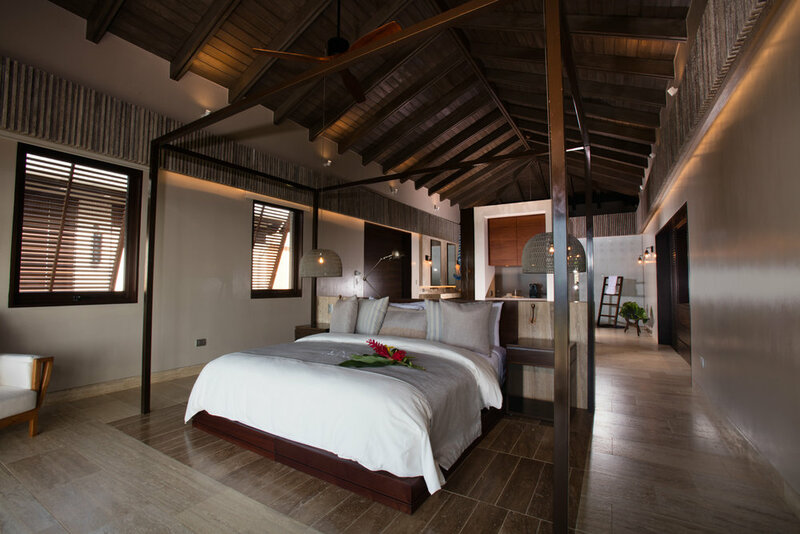 This new company, which has launched hotel-in-a-home projects in Anguilla, Sri Lanka, and Thailand as well as the Dominican Republic, has created something that suits hotel snobs yet provides the space that we miss when crammed into a hotel room. Àni Villas DR functions a bit like a mini-resort, with two houses — one with six suites, the other with eight — each with their own staff, swimming pool, living and dining areas. Tennis and basketball courts are shared, as is a yoga pavilion, a gym, spa, and waterslide. Yes, there’s a waterslide, two actually, because the six-bedroom home has its own. And it’s outrageously fun. 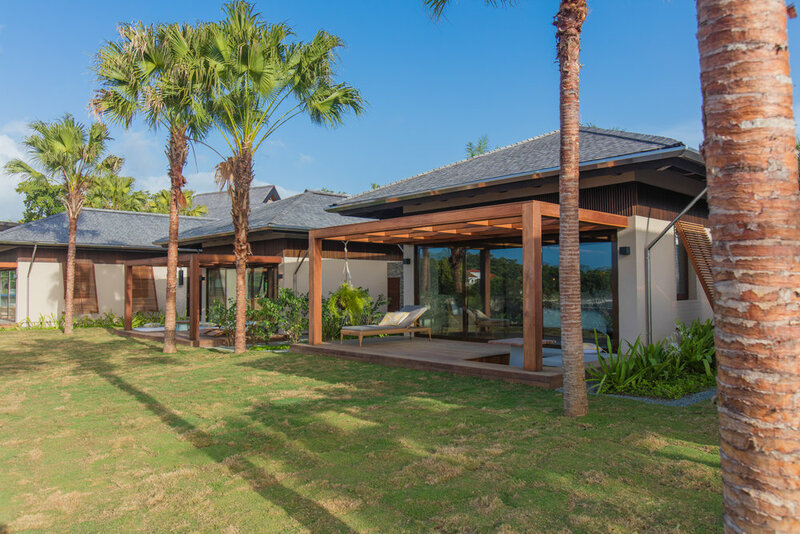 Suites are divided into individual pavilions, some standalone and perfect for couples who want privacy, while others are together with a shared internal living space, perfect for families with younger children. All except one have ocean views. Larger groups can take over the entire complex, but smaller groups (extended families, 40th birthdays, friends traveling together) will fit perfectly into one of the houses. The surroundings look more like Costa Rica than the overdeveloped all-inclusives of the Dominican Republic’s southern coast. With local farms, hiking trails, casual beach shacks on Playa Grande, and Amanera nearby (fun for a lunch or dinner), Àni is the kind of place that feels a part of its destination, not apart from it. Rates start at $4,000 per night, which may sound pricey until you consider what’s included: six bedrooms, a full staff, all food and beverage (yes, wine and beer and cocktails as well). So if you start to divide this amongst a group, you’ll find that your bill will come out significantly lower than what you’d spend at an equivalent hotel. 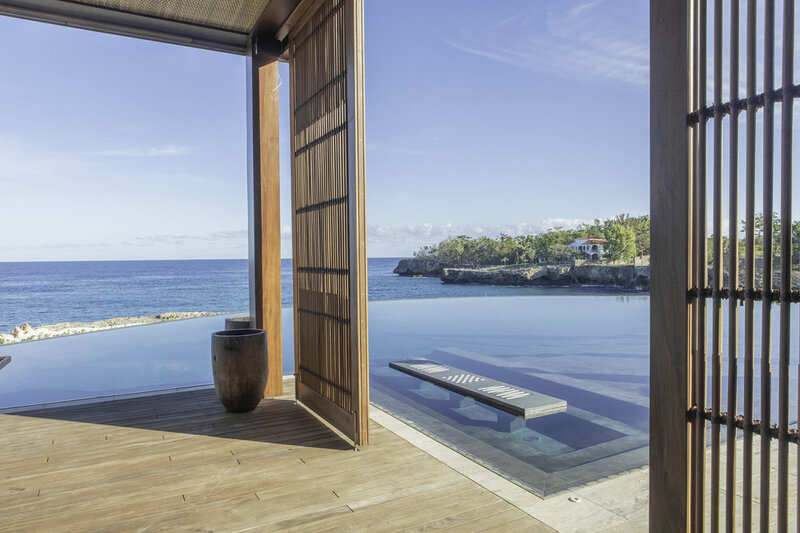 Also consider that the Àni Villas general manager came from Aman resorts, then start tallying what you’ll pay for six rooms at Amanyara — it doesn’t even compare. Drawbacks are limited to the one-and-a-half-hour drive from the airport in Puerto Plata, and an ocean that’s rougher than you’d find in Turks and Caicos or Anguilla. Summer months can bring quieter seas, when paddle boarding right from the villa is possible, but in winter months, expect a more Cabo-ish experience, where you’ll see some fantastic sea spray but you’ll swim in the pool. The villas are built on cliffs, but you can bike to a sandy beach in under five minutes — a bonus burst of energy before a full day of sun lounging. 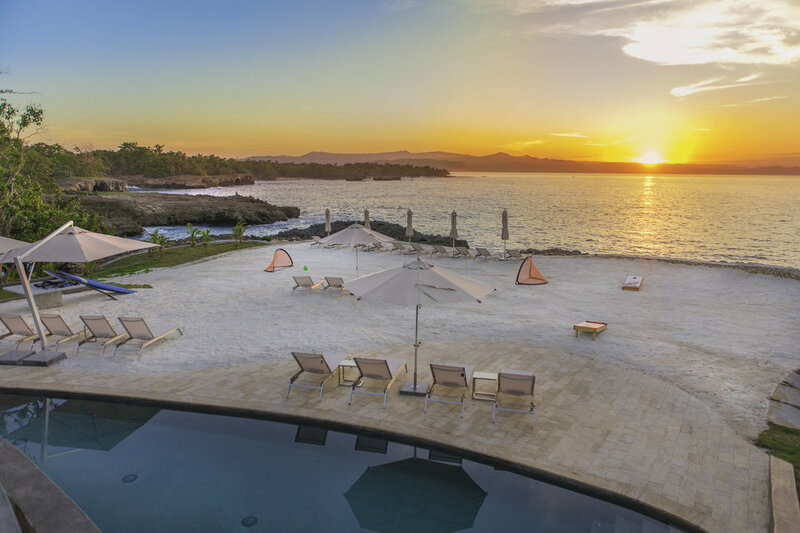 The new 14-bedroom Àni Villas on a secluded peninsula on the DR's northern coast.